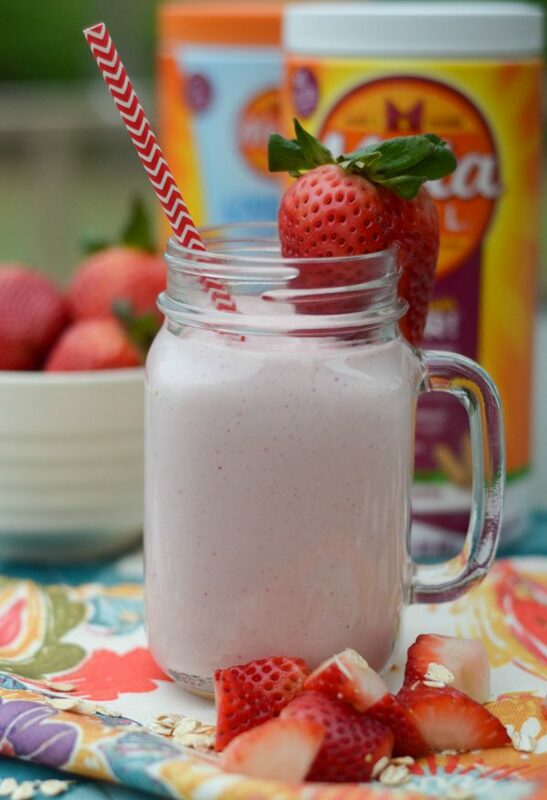 It’s time to get on track with your morning routine and make these Prep Ahead Strawberry Smoothies with Meta. My husband and I had a real heart to heart this past month. Why? The local gym that we workout at has a smoothie bar inside, which is great, the smoothies are delicious. There is just one thing…they are not cheap! That means they can easily cost you anywhere from $5-7, plus you add up the number of times you go to the gym and get a smoothie. 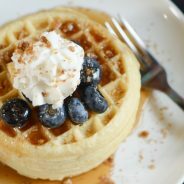 I was in shock when our bill came out this month. SHOCK! 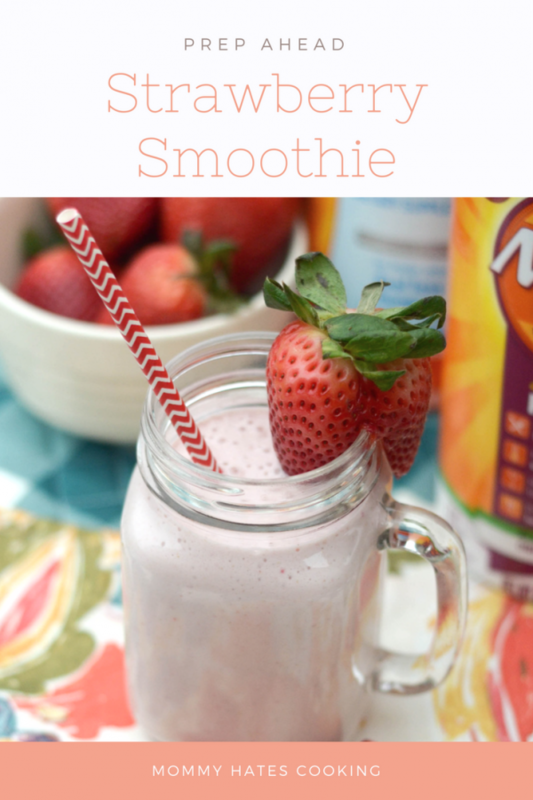 I immediately asked my husband about it, he said he got a few smoothies. Just a few and that cost us well over $30 just in smoothies and I could make close to two months worth of smoothies for that price maybe even more. So, those friends was definitely a very ‘real’ heart to heart. His main issue is that he has very little time to get his smoothie ready when he’s heading to the gym because he’s usually in a rush trying to go before work. Then, I thought I’m going to solve this problem real quick! 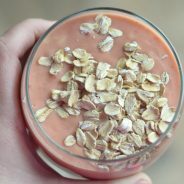 So, I decided to make these Prep Ahead Strawberry Smoothies with Meta! 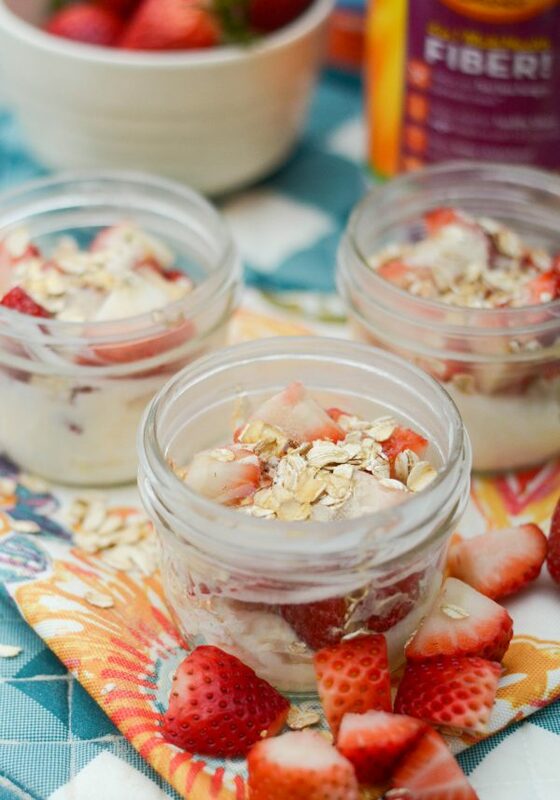 Basically, all I did was build each smoothie as a parfait in small mason jars, and then I capped them with a lid and sealed them up. 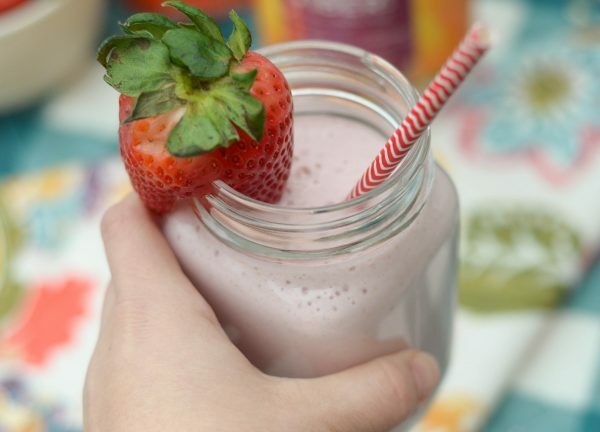 Once he was ready to make a smoothie, all he had to do was pour out the contents of the mason jar into the blender and add a little bit of water and he had a smoothie in minutes! There was no prep work and no extra time needed, it is so simple! This has to be my favorite thing to do these days too, even for the kids too. I can do these and have one ready to go for the kids as well. 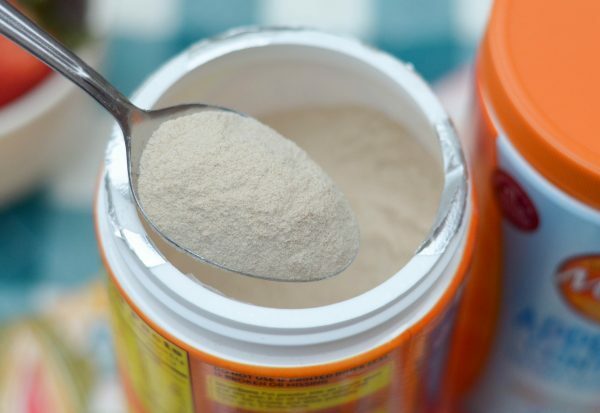 Of course, for my husband and I, we like to add Meta Appetite Control or Metamucil into ours especially as we head into springtime and become more active. 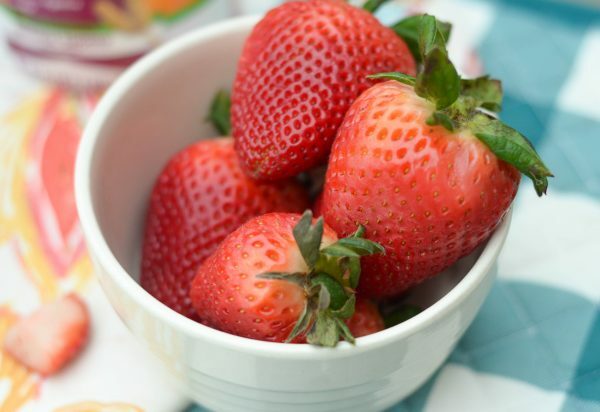 I’ve learned over the years that digestive health is very important to our daily well being, so much so I even ended up going gluten-free several years back, which drastically changed my digestive health. Now, I’m also learning more about the nutrients going into my body and how important it is to get your daily fiber intake. When you have the right nutrients, you can truly live your life abundantly and in my case more active. We already have hikes planned and more time at the gym, plus the outdoors, so adding Meta into our daily routine has really helped to keep our energy levels up and keep us active. 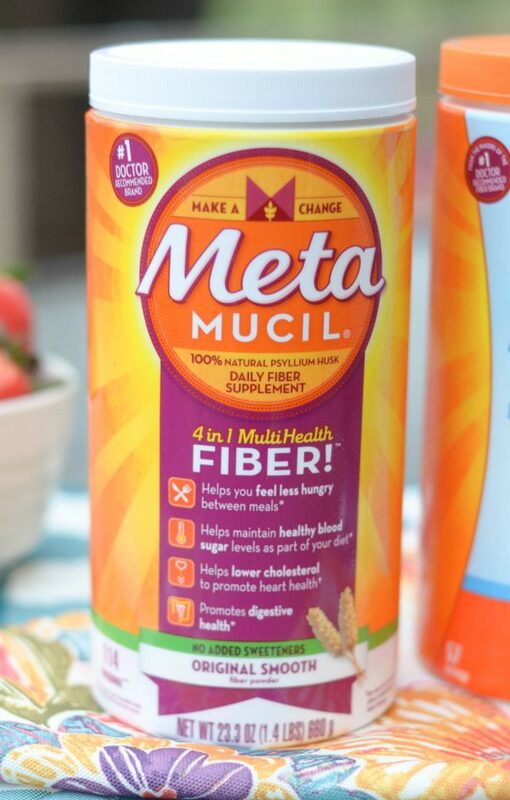 Of course, it’s even better when I can add Meta into our delicious smoothies and get that boost of fiber without doing much extra work on my part. 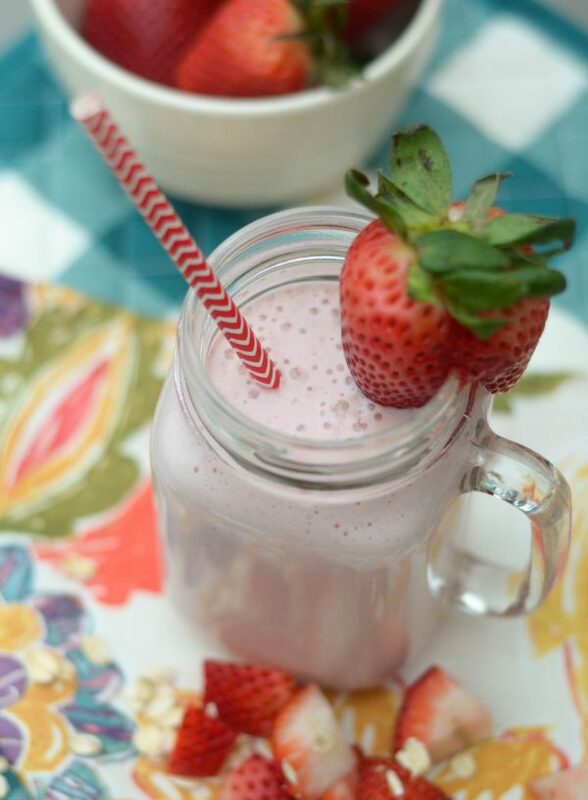 Are you ready to get your diet and wellness headed in the right direction this spring? 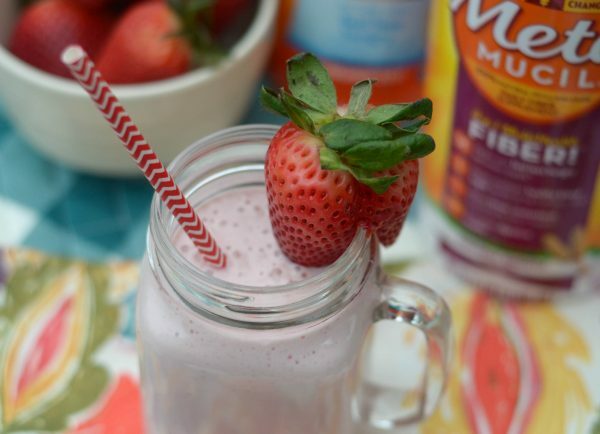 Be sure to try these prep ahead smoothies with your favorite flavors plus Meta! 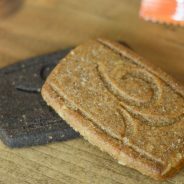 Plus, get a coupon for your favorite Meta products here! 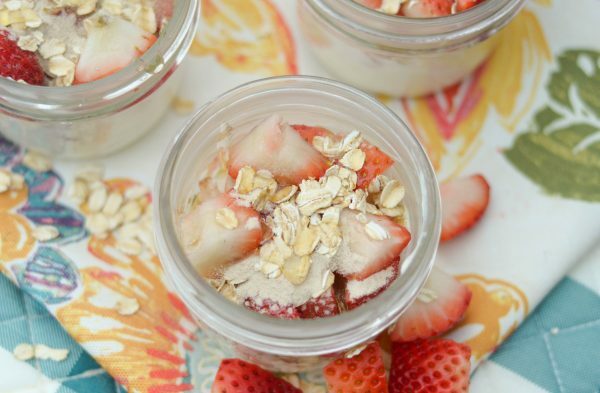 Build each mason jar equally using the yogurt, strawberries, oats, and honey. Top each one with a spoonful of Meta. 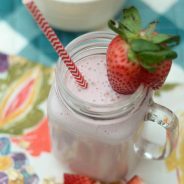 When ready to blend, simply pour out contents of mason jar into blender and add about 1/2 cup water and blend. Add ice as well if preferred.